Apparently left with no option, the government on Tuesday decided to impose price control or a maximum retail price for 15 essential items in a bid to curb the soaring living cost, which has caused widespread public disappointment or dissent. In the orthodox forms of capitalism and socialism practised till recently, imposing price controls was not part of the now globalised capitalist market economic policies. But with the digital technology revolution and worldwide structural changes, the concepts of capitalism and socialism have changed and most economic analysts believe the best would be a blend of both. In any event, in the onetime Soviet Union or now Russia and China – considered as the master builders of socialism – what we saw to a large extent was state capitalism. Both these powerful giants are now openly practising market economics with China expected to become the world’s number one economic superpower soon. According to reports the government is expected to setup about 200 more supermarkets of the Cooperative Wholesale Establishment (CWE) through which the essential items will be sold at the controlled prices. The government says it will also recruit several hundred more offices for the Consumer Affairs Authority so that the maximum retail price could be enforced in private supermarkets, grocery stores and even small boutiques. 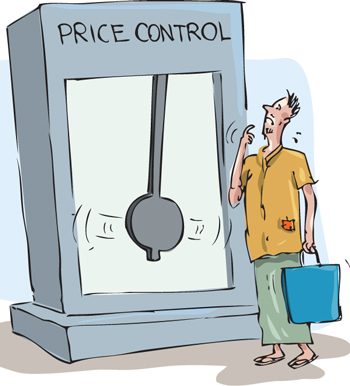 President Maithripala Sirisena, who took a bold initiative recently to review the new Value Added Tax (VAT) rates and bring down the cost of living, had appointed a cabinet sub-committee to study the issues and report back by Tuesday, July 12. The high-level committee was headed by Development Strategies and International Trade Minister Malik Samarawickrama. Addressing the committee, the President lamented that there appeared to be little or no governance over prices of essential items. He uprooted and spotlighted one instance where a poor Nuwara Eliya carrot cultivator gets about Rs.30 for the kilogram. 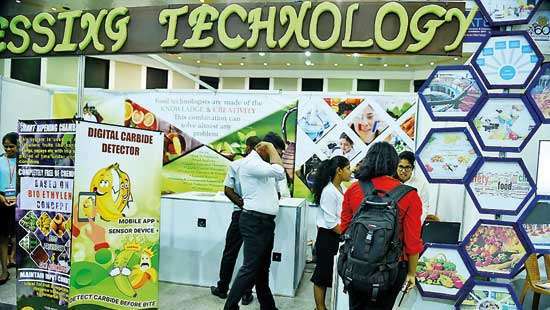 But when it comes down through more than ten channels including black-market middlemen the consumers in Colombo and other areas are forced to pay as much as Rs.200 for a kilo of carrot. Thus there is a grave crisis where the hardworking cultivator is getting poorer, the hard working consumers are also struggling to cope with the rising cost of living while black-market middle men – often assisted by roguish politicians -- are becoming multi millionaires. 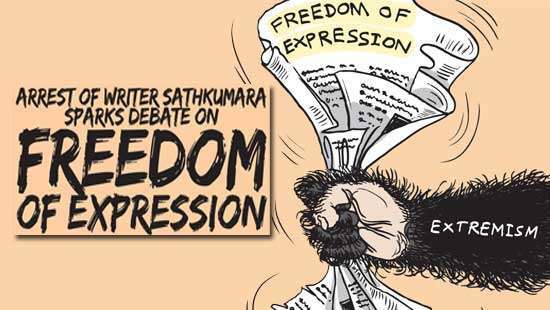 The President said this grave injustice must be ended immediately if Sri Lanka was to be true to its name of being a Democratic Socialist Republic. Finance Minister Ravi Karunanayake who has been widely criticised for his alleged mishandling of the taxation and cost of living issues, came back fighting at a news conference on Tuesday. He assured that along with price control, a more efficient and streamlined process would be introduced for the importing of goods on a wholesale basis. 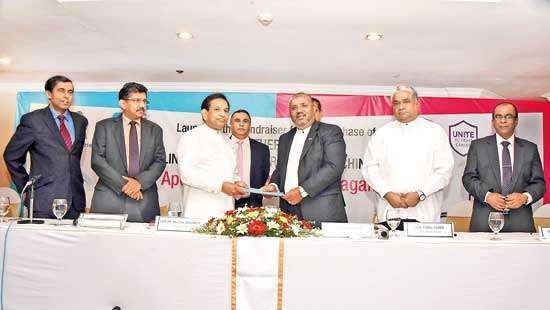 Flanked by Trade Minister Rishad Bathiudeen and Social Services and Welfare Minister P. Harrison, Minister Karunanayake echoed the President’s view, saying that a crooked few were attempting to rob the innocent consumer by way of black-marketeering. He said it was absurd or ridiculous that in a country where agriculture has been part of our culture and civilization for thousands of years, Sri Lanka was unable to maintain a stable, fair and just price for grains, vegetables and fruits. He pointed out that in countries like Singapore and Dubai which produced few if any vegetables they had maintained stable prices for the past 15 years and the government intended to do the same. cooperate with this move to give a better deal to both the consumers and cultivators. So must the responsible media. Besides reporting violators to the authorities, Sri Lanka’s citizens also need to take a strong stand and refuse to buy essential items from sales outlets that do not sell them at the controlled price. The government and local officials need to do their best acting honestly and effectively but they apparently cannot control everything and that is where proactive citizens cooperation will open a channel for the benefits of good governance to flow to millions of people, especially the impoverished.